On the occasion of the qualifying match for the 2014 FIFA World Cup Brazil between Slovenia and Norway, which will take place on Friday 11 October 2013, a discussion on the use of the EEA and Norway Financial Mechanisms funds will be held on Thursday 10 October 2013 at 10:15 am. The discussion is organised by the Embassy of the Kingdom of Norway in Habakuk Hotel in Maribor. In the framework of the discussion the project “DROM – POT”, which focuses on the promotion of social inclusion of the Roma population, will be presented. 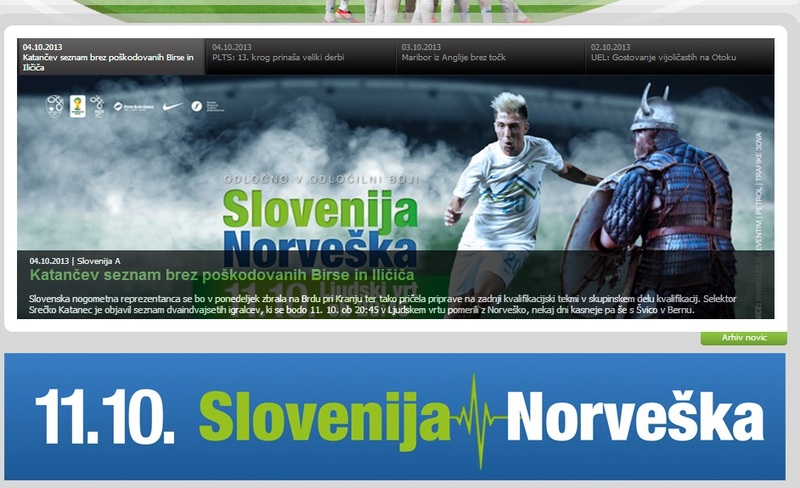 Marko Drofenik, Director-General of the Regional Development and European Territorial Cooperation Directorate, and HE Ms Tove Skarstein, Ambassador of the Kingdom of Norway, responsible for Slovenia, will participate at the discussion which will also be attended by the representatives of the Norwegian football team. On Thursday 10 October 2013 the Norwegian Football Association will organise a business event for the sponsors of the Norwegian football team, which will start at 3 pm. This is an annual event which is in 2013 taking place in Slovenia. The event will also be attended by the Minister for economic development and technology Stanko Stepišnik, MSc and HE Ms Skarstein, Ambassador of the Kingdom of Norway, responsible for Slovenia. The Minister will present the investment opportunities and other relevant economic topics in Slovenia. The event will take place in Hotel Lev in Ljubljana.